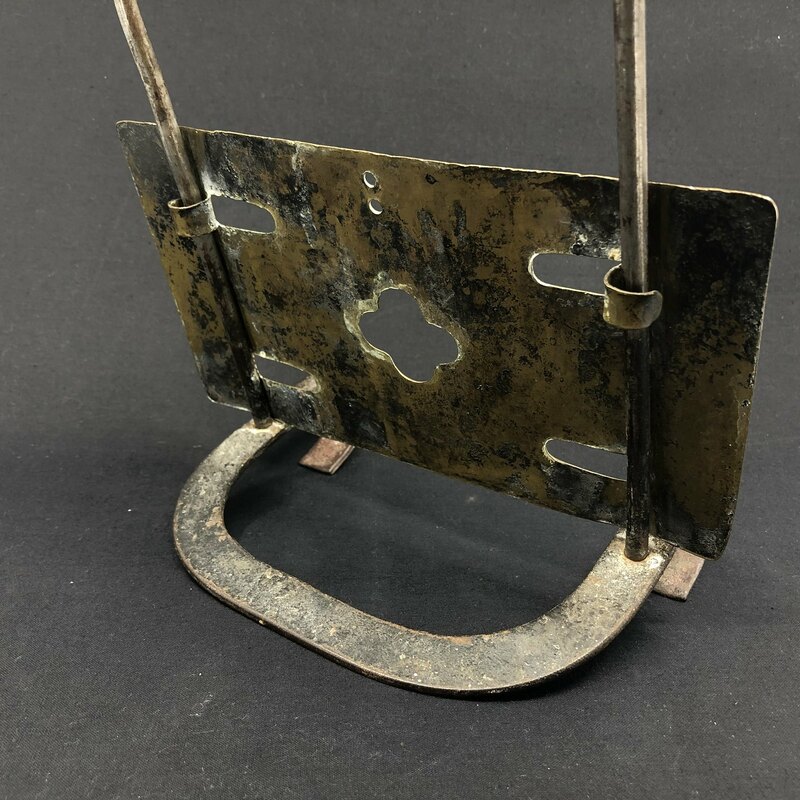 Unusual hob or heater to put on an old-fashioned stove/tile stove. 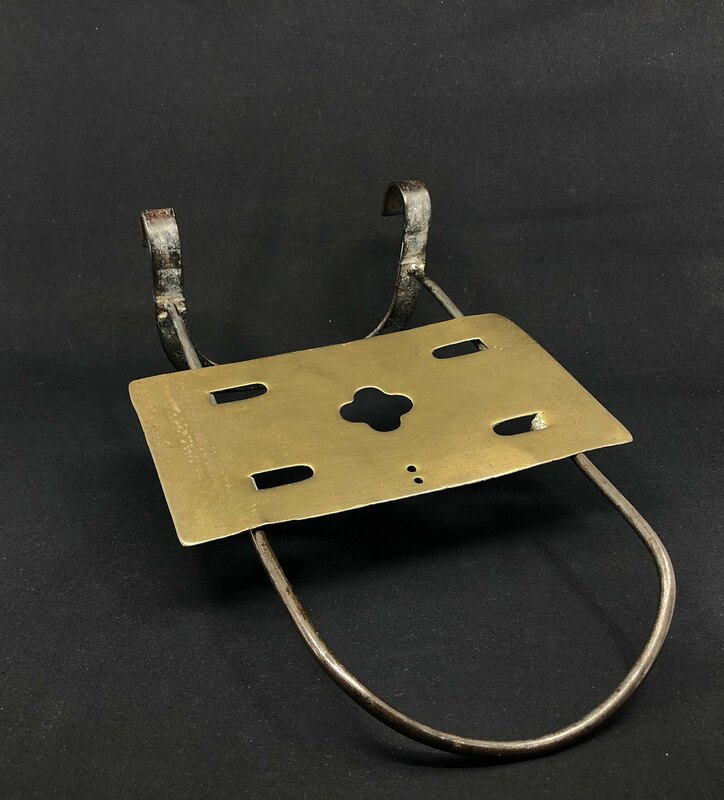 The hanger is placed over the edge of the stove and the lower part will be heated and lead the heat out into the hanger on which the brass plate rests. This will be warm enough to keep a coffee or teapot warm. 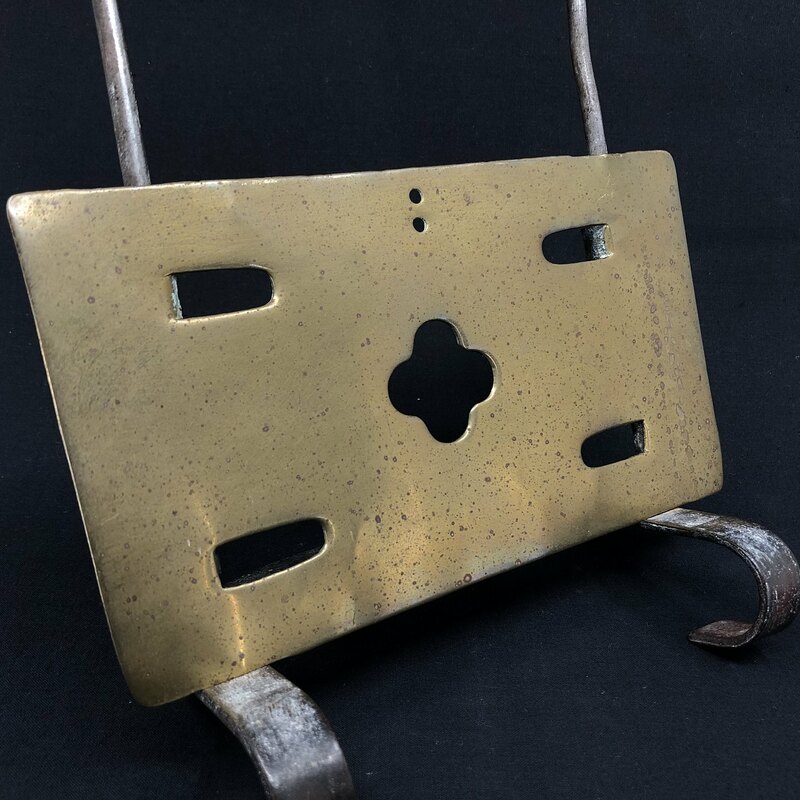 The hot plate is from the late 1800's. 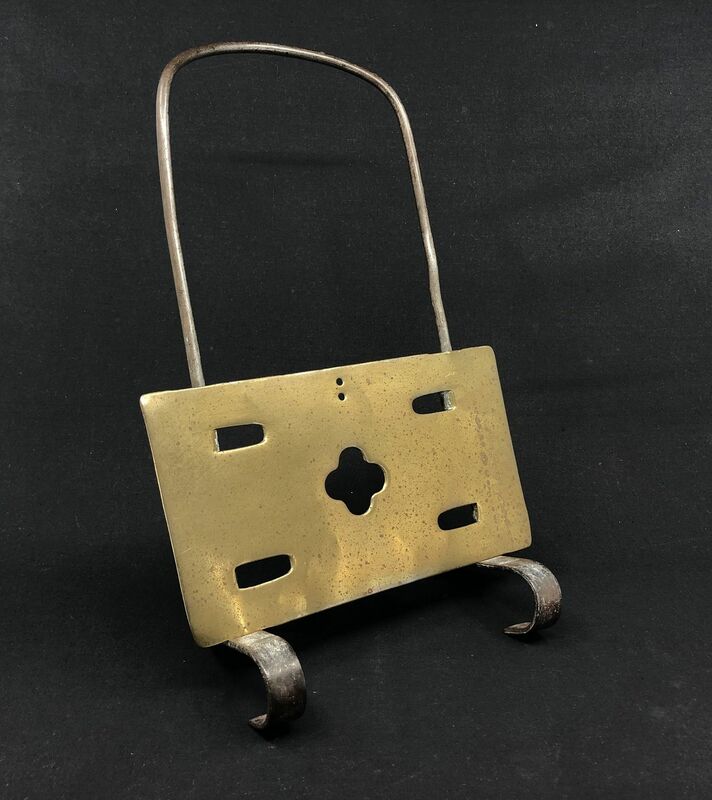 Underneath are two brass "arms" broken by the plate, these have hold on the hanger.